The Change. The Transition. The Big M.
For women in their 40’s and 50’s, menopause has been the one stage in a woman’s life that is feared the most. They know it’s coming but are never quite ready for all the changes that come along with it. 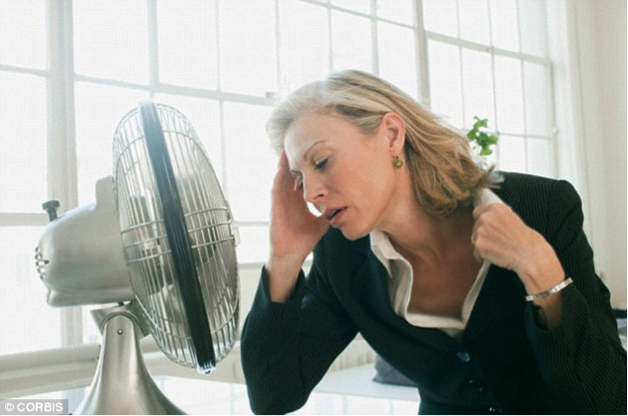 Menopause is marked by the cessation of a woman’s menstrual cycle after a period of 12 consecutive months. Decreases in the hormones estrogen and progesterone will throw the body into a tailspin. The symptoms and their impact on a woman’s daily life can be annoying and in some cases debilitating. Hot flashes, weight gain (especially in the midsection) night sweats, irritability & mood changes, depression, and forgetfulness are just some of the challenges women face. It’s a blessing for some (no more periods- YAY!) and a curse for many (sticking your head in the freezer for relief and your family hiding sharp objects). Doctors often prescribe hormone replacement therapy for some and others simply suffer through it and wait for the end. But for some of those symptoms, the right diet and exercise program can be a literal lifesaver. 1) Eat Less : A diet lower in calories can help decrease the weight gain during menopause. A decrease of even 200-300 calories per day is enough to show a decrease in weight in women in their 50’s. Since the HCG diet generally comes in between 500-750 calories daily, this can help almost immediately. 2) Clean Up Your Diet: HCG food plans eliminate oils, sugar, and starches which can help with insulin response and and decrease leptin levels that contribute to increased hunger during menopause. Brain fog can lift, blood sugar can be tamed, and fatigue can be reduced. 3) Start Moving: An HCG protocol that encourages appropriate levels of exercise can help in the form of light cardio (walking) and HIIT (High Intensity Interval Training). Besides the additional fat burning advantage, exercise can also help alleviate the depression and mood swings that often accompany menopause. Whether you are new to working out or have been active before the HCG diet, either way – KEEP MOVING! 4) Increased Motivation: Success with the HCG protocol during menopause can also have one HUGE benefit…the overall sense of positivity that can come with losing the weight quickly and feeling better every day. Watching the scale go down and fitting in smaller sizes alone can cause an increase in motivation and commitment to finishing a diet program. When you see results, you feel empowered. At this point in a woman’s journey through menopause, reaching a weight loss goal will provide a boost that will help make all the other annoyances a little easier to deal with. For ladies who are either about to transition to menopause or those brave souls who are powering through it now, take a look at the HCG diet protocol as a way to lose weight safely and get your ‘groove’ back today.